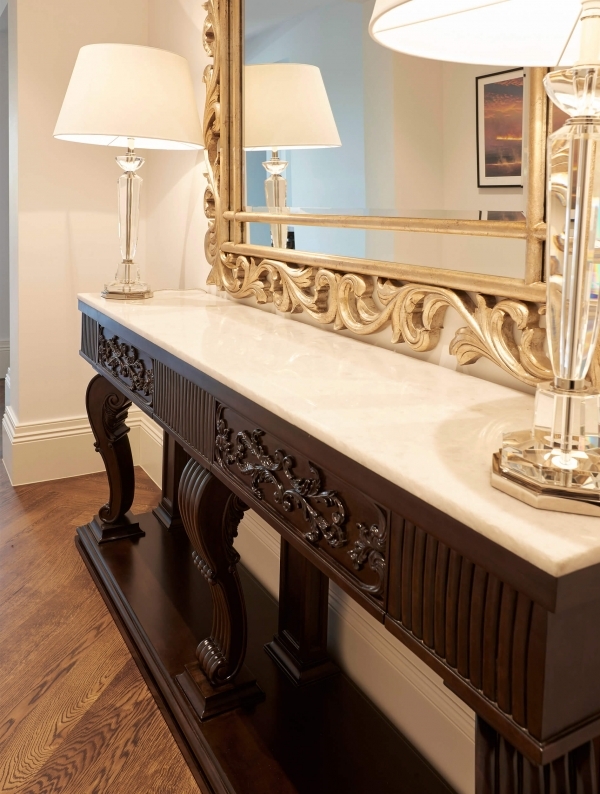 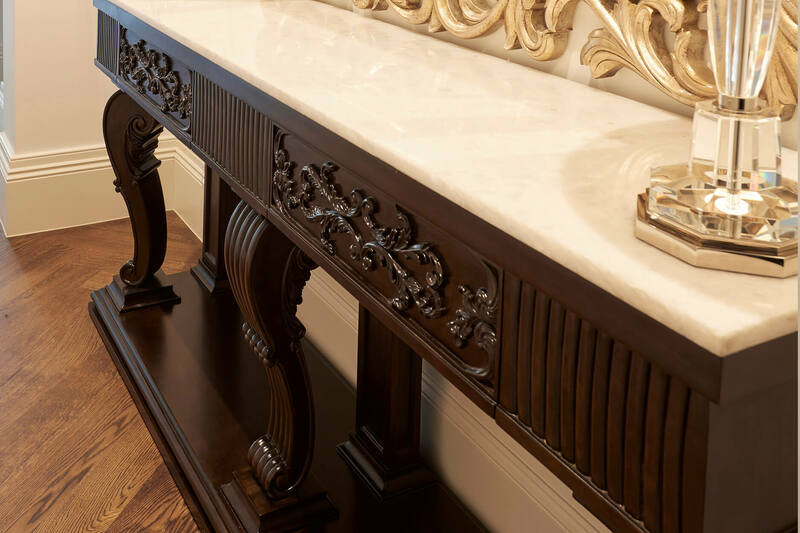 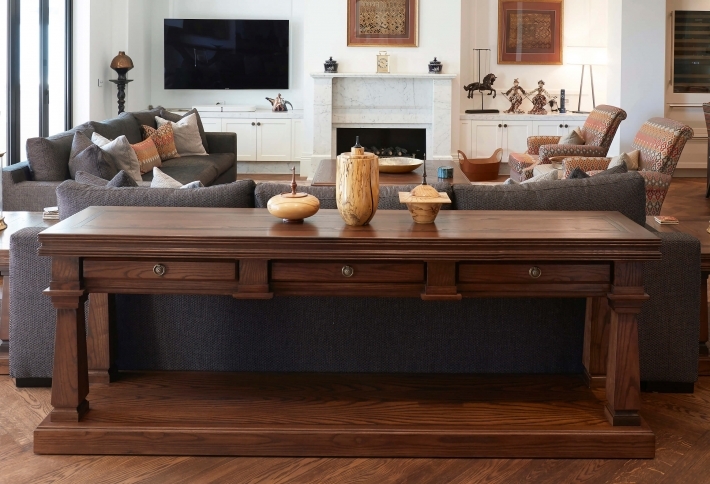 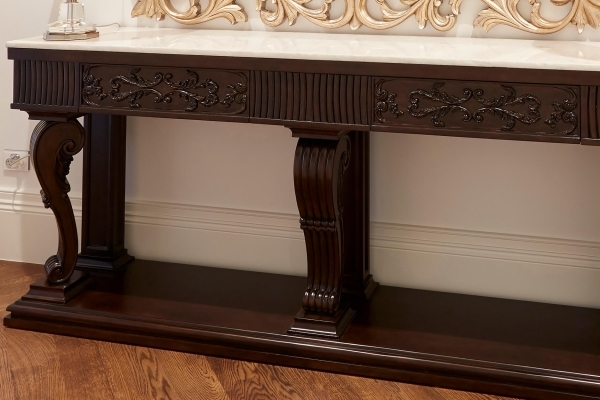 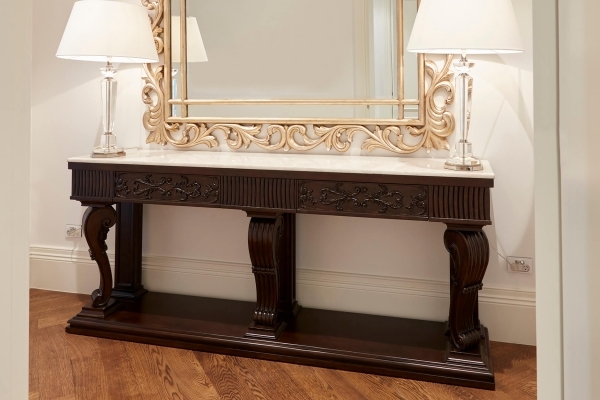 Grand entrance table featuring elegantly finished hand carved front rail concealing two hidden drawers. Top finished in a solid white marble. 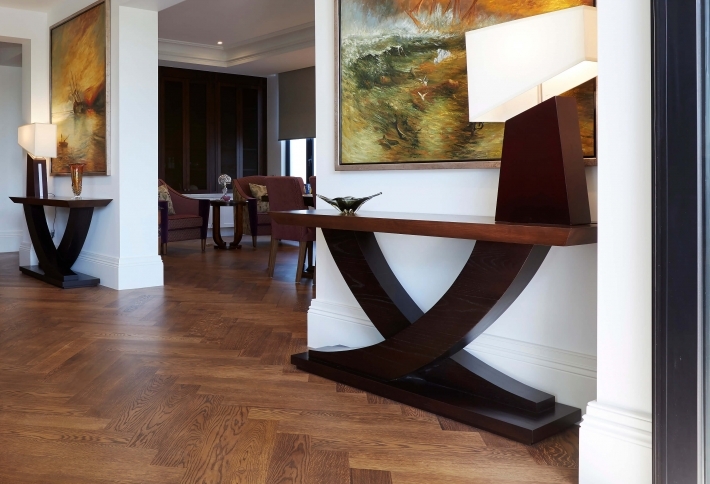 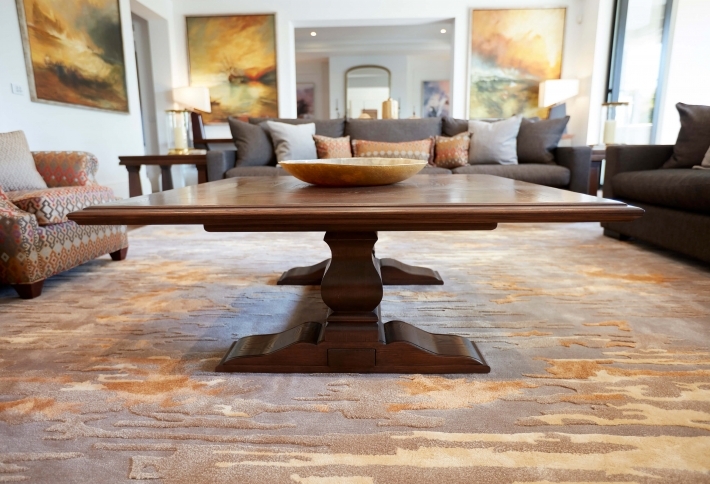 Timber base with cabriole style front legs and pillar style back legs are all intricately hand carved and custom stained.